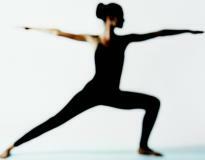 Eugene Yoga's skilled instructors offer a wide variety classes for all levels. In addition to their beautiful studios, they teach at corporate events, special events and conventions. Gathering with your peers? Getting married? Big life challenge coming up? They can help you prepare for and overcome the stresses of life! Why practice yoga with your group? Build stronger teams, create wellness culture, cultivate patience and acceptance and develop trust. Why practice yoga for yourself? Develop strength, balance, coordination, reduce stress and anxiety, feel more confident and sleep more soundly.